Can the G.O.P. Rise Again? There is little doubt the Republican party is on the run. It has lost two national presidential races and apart from gaining in state legislatures and governorship’s is shrinking on the national scene. This is not the fault of the people running for office but the platform or should I say, lack of a coherent consistent platform. A united front is not evident and the reasons for this are evidently ignored. The solution is clear but unacceptable by those now muddling along in the old fashioned methods of yesteryear. In order for any group of people to unite there must be a common mission or purpose. To announce you have a big tent only invites those willing to join without conviction of what you stand for. It is pandering to the mob mentality. Instead of standing for principles that like minded people can agree with and support ,you end up with a hodge-podge of miscellaneous viewpoints, haggling and chaos. The proof this is evident is the inability to integrate the tea party advocates and the far out candidates that mutter inanities. Why this isn’t recognized by the current Republican leadership is the same reason a horse with blinders on can’t avoid the wolf approaching from his side. The Liberal Democrats don’t have a viable platform but they have something the Republicans don’t, which is consistency. They are consistently on the side of bigger government, deficit spending, welfare growth and power acquisition. Republicans acknowledge they are against these consistencies then promptly act as if they don’t know how to be any different. The greatest inconsistency within the Republican party is the antiabortion faction. No one can be consistently for individual rights while excluding the rights of pregnant women. A pregnant woman has a right to decide whether she will give birth to a child. Moving in the direction of forcing a pregnant woman to give birth is equivalent to forcing a woman to only have boy children, a certain number of children or forbidding her to have any children at all. She must bear responsibility for her life and her decisions which means the decision to give birth includes a responsibility to care for the child she has chosen to give life to. A government agent is only an agent of force demanding the pregnant woman act against her will. This is equivalent to forcing anyone to act against their will and it is the reason civilized people create governments to protect them from the initiation of physical force. As long as the Republicans have a platform that allows individual rights to be compromised and/or eliminated they will not hold any moral high ground. The Liberal Democrats also violate individual rights with their confiscation and redistribution of wealth schemes but the Republicans follow these actions and often support the Democrats and often try to emulate them. This dilutes the distinction of what they claim to stand for and you end up with mixed messages and far out nonsensical outbursts that tarnish any attempts at integrity. Presently the Republicans are far more willing to contain a mixture of non-consistent stances than to declare they are primarily the party that consistently stands for individual rights. Instead they claim to be for smaller government and lower taxes but that is not what they have demonstrated. The compassionate conservative George Bush put that notion to rest. In truth politicians of both parties individually are primarily panderers for voters who they assume will not respond to something such as individual rights but you see the demand for recognition of the second amendment across the country and you can see how bad that argument is. If the Republicans created a platform that was un-disputedly pro individual rights they would not only have a defensible position but they could shred the Democrats by pointing out how the individual rights of American citizens are being violated by the Democrats. This approach is the only one that will save the Republican Party. Anything less will produce a Party that is fractured and continues to fail. The old style Republicans have wallowed in the past policies and platforms and think they will rise again just on the basis of experience. They believe the Democrats will spend and regulate so much that the voters will turn to the Republicans as they did with George Bush. When the American people saw that the Republicans outspent the Democrats they realized there was no longer a two party system. That spending spree by George Bush was the Republican’s last hurrah. The emerging Republicans are hamstrung by the party platform too heavily influenced by “conservatives. A new breed must emerge under a banner of protection and advocacy of individual rights. 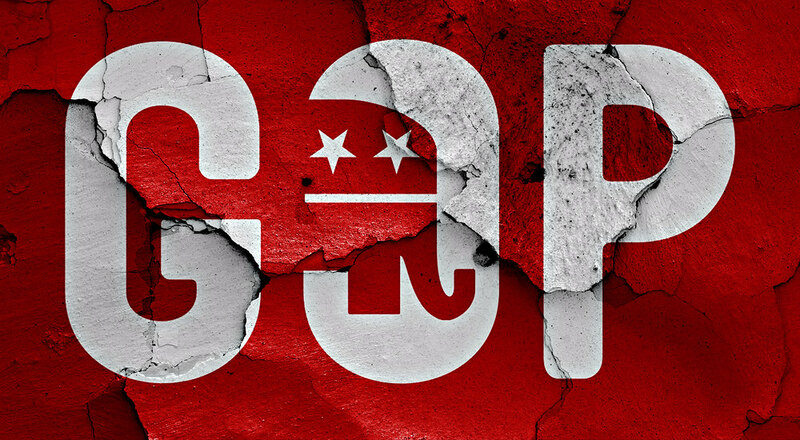 Whether that banner has the name Republican on it will depend on the ability of the Republicans within the party to recognize the long string of past mistakes brought on by a platform of confusion and inconsistencies.